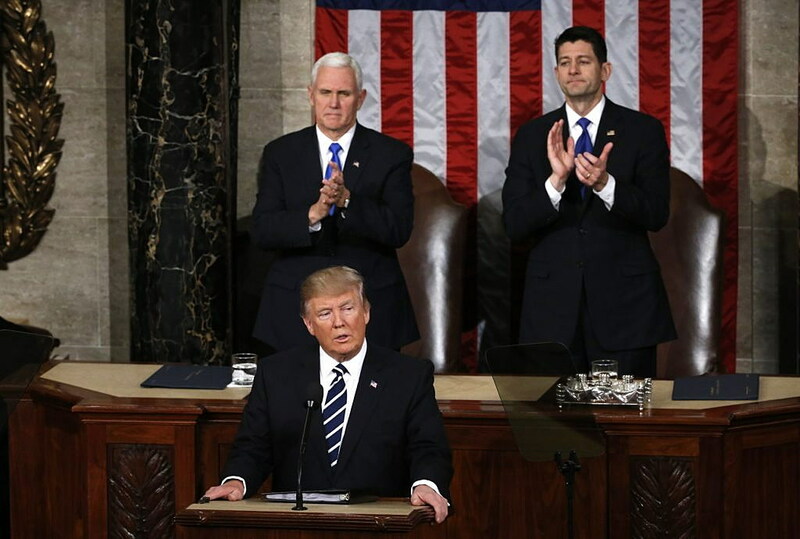 WASHINGTON (Reuters) – U.S. President Donald Trump said on Tuesday he was open to a broad overhaul of the U.S. immigration system, a shift from his hardline campaign rhetoric, as he made his first speech to Congress following a turbulent first month in office. Trump, in a prime-time address to a country that remains divided a over his leadership, emphasized his desire to focus on problems at home by boosting the U.S. economy with tax reform, a $1 trillion infrastructure effort and an overhaul of President Barack Obama’s signature healthcare law, known as Obamacare. After an initial month in office dominated by a fight over his temporary travel ban on seven Muslim-majority nations, Trump looked for a reset to move past a chaotic period that sowed doubts about his ability to govern effectively.